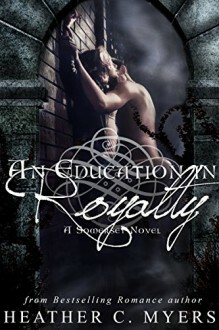 Go to bed with vampire royalty, Nikolai DraguliaHe wants nothing more than to sink his teeth into her flesh and turn her into what he was - a vampire. But he can't. And she wants nothing more than to run away from this assignment. But she won't.Elizabeth Grant is a top-rated assassin at the Nocturnal Defense Society. When she gets an assignment to protect Nikolai Dragulia – next in line to inherit the crown and rule over vampire society – she balks. Being a royal babysitter to a mysterious, brooding, arrogant prince is not what she signed up for, but an assignment is an assignment, and she’s a professional. As Lizzie looks deeper into possible suspects and motives, she realizes this is more than just a babysitting job but something that, if not resolved, can affect the entire vampire race.WARNING: This book is only for readers who want sizzling scenes, possessive Alpha males, and strong, stubborn, heroines. It is NOT for the faint-hearted! Download your copy FREE for a limited time!